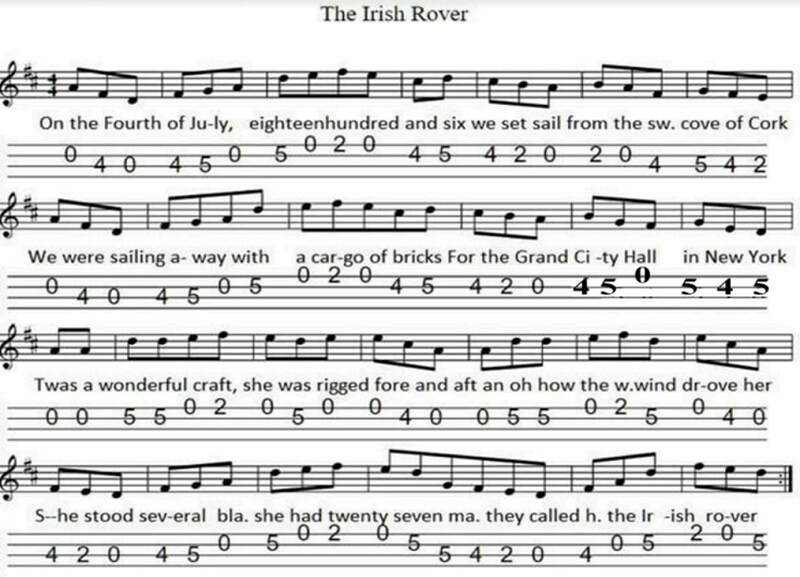 The banjo / mandolin tab is in the key of D Major and the tuning is GDAE [ Traditional Irish Standard Tuning ] This old song was brought back to life by The Pogues And The Dubliners long after the Clancy Brothers And Tommy Makem covered it. New kids on the block, The High Kings also recently done a good version. The letter notes are pretty much the same as the sheet music. John, how is a visitor to the site changed a couple of notes and this is his version below. The changes he made are at the end of the second line.